Kartemquin Films and The Community Film Workshop of Chicago have opened applications for the 2017 edition of Diverse Voices in Docs (DVID). 12 producers will be selected from those who apply before the December 19 deadline. 2017 will be the fifth year of this successful program, which has now helped over 50 mid-career documentary filmmakers of color advance their projects through mentorship and skill-sharing since launching in 2013. The chosen cohorts receive hands-on advice from experienced Kartemquin and Community Film Workshop staff and award-winning filmmakers, before pitching to a panel of major funders, including representatives from ITVS, MacArthur Foundation, WTTW Channel 11, POV, Chicken & Egg Pictures, and Bertha BritDoc Foundation. This November, a graduation ceremony for the 2016 DVID fellows was held at the Arclight Cinema as part of Kartemquin’s Fall Festival. Acclaimed documentarian Lyric Cabral, director of Sundance award-winning film (T)error, gave the keynote address to the class of 2016. 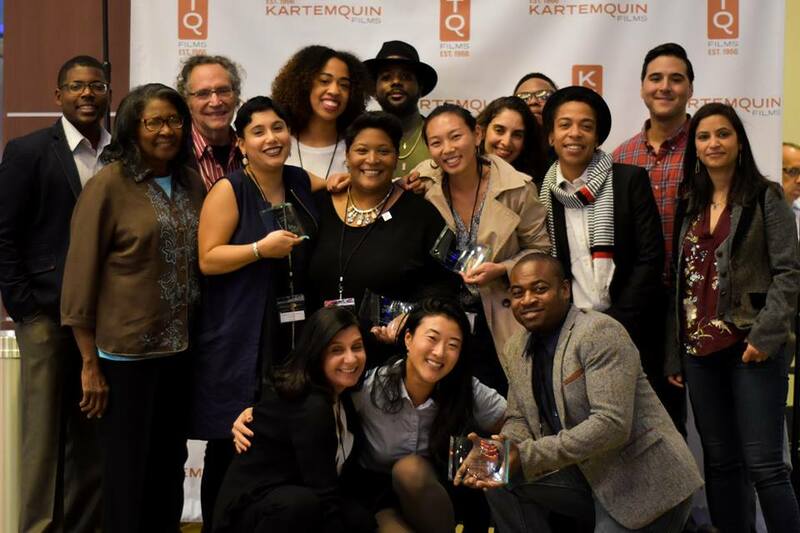 “I am inspired by Kartemquin’s commitment to nurturing storytellers of color and voices which, for the sake of our democracy, are in critical need of promotion....It is refreshing to be a part of the majority, not a minority, while celebrating the form we all love,” said Cabral. Organized by Kartemquin Films and the Community Film Workshop of Chicago, DVID participants meet six times in four-hour monthly workshops to receive professional advice and guidance for their films. Beyond connecting filmmakers to the professional documentary community, the program also provides a network of possible collaborators and funders. “What I didn't learn as I set out to make my first feature documentary was that your story will make even more of a difference with guidance from veterans and a community of passionate filmmakers, which I found in Kartemquin's Diverse Voices in Docs fellowship,” said Bing Liu, a DVID alum from 2015, whose film Minding the Gap, is now in production with Kartemquin. The mentorship and support from DVID has translated into tangible, beneficial results for Kartemquin and several of its DVID fellows. Two recent graduates have gone on to receive funding from ITVS. Additionally, in April, two recent graduates, Kelly Richmond Pope and Martine Granby, were invited to attend Tribeca Film Festival’s Industry Week with their projects. Workshop sessions focus on applied learning and honing skills in areas such as fundraising, storytelling, production techniques, distribution and marketing. Further perks for enrolled filmmakers include networking sessions introducing them to notable broadcasters, funders and distributors; access to Kartemquin’s invite-only “KTQ Labs Feedback Screenings” program, where Kartemquin’s filmmaker community provides free rough-cut consulting; and access to job listings and informational resources. Diverse Voices in Docs is supported by The Academy of Motion Pictures and Sciences, Voqal Fund, The National Endowment for the Arts, The Bertha Foundation, The Seabury Foundation, the Efroymson Family Fund, Kartemquin Films, and Community Film Workshop. Applicants should have played a principal role in a completed production (producer, writer, director, editor, etc.) and have experience or work history that demonstrated their commitment to social issue documentary. The Diverse Voices in Docs program will not provide: project funding, legal advice, equipment or post-production access.